Say "Let's get to climate safety fast!" The latest Intergovernmental Panel on Climate Change (IPCC) report, released 4.03.14, strongly urges a fast shift to clean energy. Since the last report, carbon emissions have accelerated to unprecedented levels. Impact on land, sea, and air is growing catastrophic much faster than scientists predicted. Yet national governments continue to drag their feet about mandating the shift to clean energy. Why? We all know the answer: because of the PR and political power of the fossil fuel lobby. In this context, urging large financial investors to sell their fossil fuel stocks takes on critical new importance. But predictably enough, a consortium of some fossil fuel companies (Exxon excepted) just responded by issuing their own call for governments to act. They suggested a large carbon emissions cap (" BT, Shell and corporates call for trillion tonne carbon cap)." Whether or not these companies were being honest or just tactical really doesn't matter. The new report and their move do change the way we should be framing the divestment argument now. If these companies are sincere in their concern about the climate crisis, they won't fight government efforts to pass the new green energy laws we need now. The IPCC has called for an economic shift of massive scale. Only national governments can do this kind of thing at the speed required. If the U.S. moves vigorously, it will help other nations follow suit. What our cities, counties, and even states are doing is good and needed. What President Obama is doing with administrative measures he can control is also good and needed. But it's all going to be too slow, if these companies won't stop obstructing the change we need. Congress must act fast to foster a new U.S. energy economy. We can always do it when there's a war, so we can do it to get to climate safety too. Divestment as a morally responsible long term move is a good tool for influencing major investors. It also helps discredit the carbon lobby's deadly behavior. In addition, there's a new approach focused on the fossil fuel dividends current investors are losing. ( See Christopher Hayes in The Nation 4.22.14.) That money is pouring into the search for new places to drill and mine instead. This is happening in spite of the fact that we can only safely burn one fifth of the fossil fuel reserves we already have. So the fossil fuel companies should also "divest" --stop the search for suicidal new carbon sources, stop taking taxpayer subsidies away from green energy investments, stop funding climate change denial PR, and stop lobbying against the new energy programs we need. Our legislators need to "divest" too: ---stop taking fossil fuel campaign contributions for resisting green energy measures . It's time we applied moral blame to them too. If Congress won't act, then we must find out how much they got paid to sell out human survival on this planet and tell everyone. It's time for the litmus test. No excuses, no delays, no more playing with fire and getting paid for it. " Let's get to climate safety fast." That means we need to reinvest everything we've got in a new, green energy economy, starting right now. 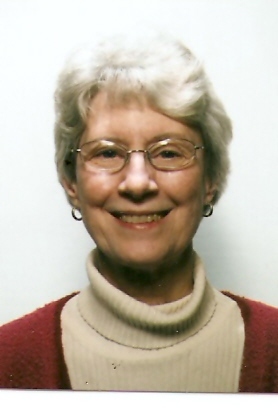 Susan C. Strong, Ph.D., is the Founder and Executive Director of The Metaphor Project, http://www.metaphorproject.org , and author of our new book, Move Our Message: How to Get America 's Ear. The Metaphor Project has been helping progressives mainstream their messages since 1997. Follow Susan on Twitter @SusanCStrong.